Love on South Dakota in a small scale landscape oil painting and overcome your fear of using oils as an art medium! 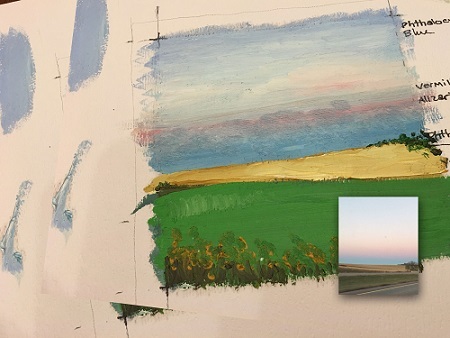 Work on a South Dakota horizonscape with a limited color palette to perfect your blending and brush strokes. Join Natalie to walk through each stage, discussing color theory, and placement of elements on your 12"x12" canvas for pleasant framing. Materials included. Ages 14 and up. No experience necessary. Fused Glass Art - Enchanting Birch Tree!